Covering the last five hundred years of global history, The Environment in World History examines the processes that have transformed the Earth and put growing pressure on natural resources. Chapters and case studies explore a wide range of issues, including: the hunting of wildlife and the loss of biodiversity in nearly every part of the globe the clearing of the world's forests and the development of strategies to halt their decline the degradation of soils, one of the most profound and unnoticed ways that humans have altered the planet the impact of urban-industrial growth and the deepening 'ecological footprints' of the world's cities the pollution of air, land and water as the 'inevitable' trade-off for continued economic growth worldwide. 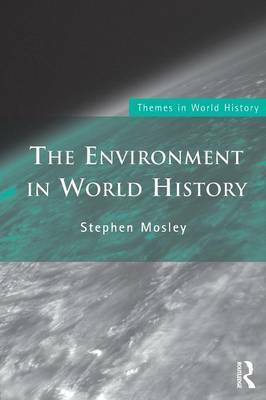 The Environment in World History offers a fresh environmental perspective on familiar world history narratives of imperialism and colonialism, trade and commerce, and technological progress and the advance of civilisation, and will be invaluable reading for all students of world history and environmental studies. 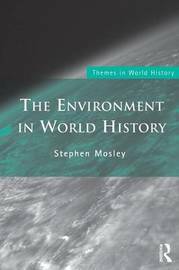 Stephen Mosley is Senior Lecturer in History at Leeds Metropolitan University. His previous publications include The Chimney of the World: A History of Smoke Pollution in Victorian and Edwardian Manchester (2008).